Gorgeous, 'kitty' tough hard shell luggage for any young traveller. 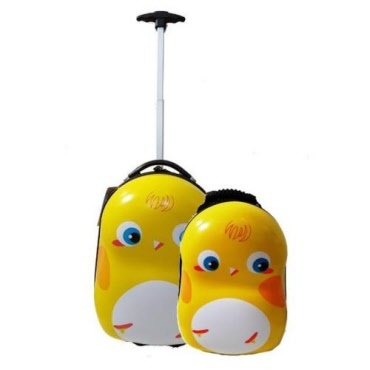 Lightweight design, 2 position handle, 4 wheel manouverability. 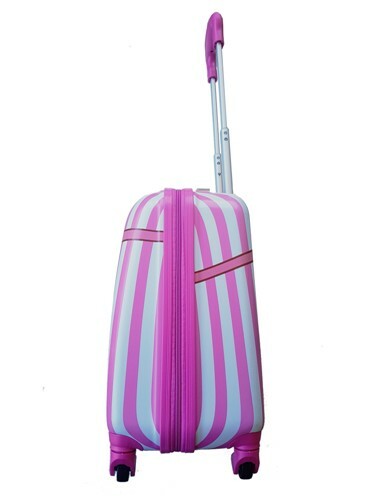 Lightweight luggage with hard outer shell for ease of use and protection of items. 4 x 360 degree spinning wheels for great manoeuvrability. Luggage handle adjusts to two different levels (62cm and 82cm from ground) for child and adult usage. Internal elasticised straps for securing clothes. 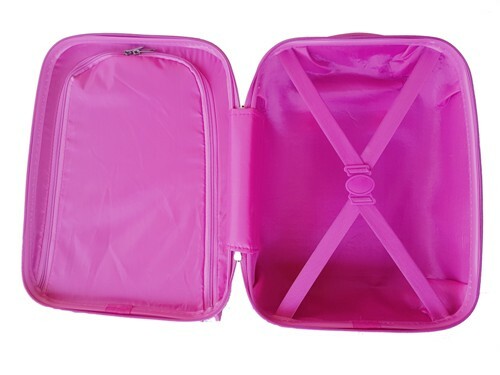 Zip up pouch inside lid for books, games and other small items. 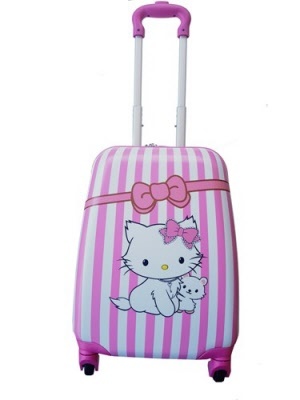 Measures: 47cm x 31cm x 22cm. 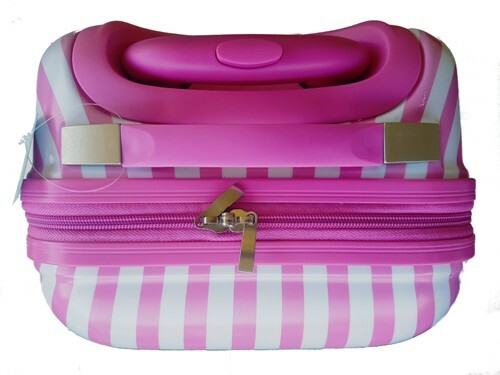 Note, the design would allow for a small backpack / toiletry bag to be attached to the extendable handles and sit on top of the hard case for easier transporting. 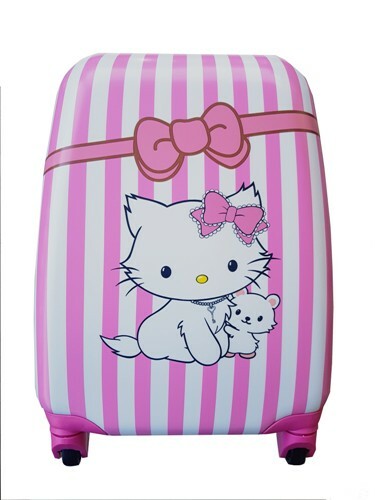 The Conwood luggage set is a great option for a child's first suitcase AND backpack.